Fifteen minutes on the express train and four blocks from the station, my friend Joan is farming a small plot of land. It’s actually several short rows that form part of a much larger city farm owned and operated by a Japanese retiree. As soon as I saw him, I was glad that I, too, had prepared for weeding and harvesting by wearing the all important white work towel. 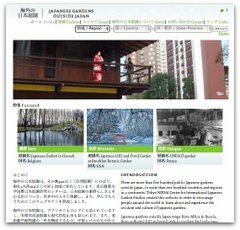 Joan blogs and writes about urban farming, farmers’ markets, city landscapes, and Japan travel. It was very exciting to actually see Joan at her farm. I was impressed that she had also recruited a neighbor and her husband’s co-worker to help with tidying up the winter beds, getting ready for planting, and harvesting and taking home the last winter vegetables. There was a huge leafy bounty that Joan shared with us: Russian kale, red karashina, brocoli, spinach, komatsuna, and shungiku. Joan also sent me home with some bergamot that I am growing on my balcony. I am still waiting for Joan’s famous bergamot potato salad recipe. And I was able to share what Joan gave me with three other households. We all gathered at the farm just two weeks after the Tohoku quake, tsunami and nuclear crisis. It was great to be outdoors, talking about city vegetables, chatting with friends and new acquaintances. I liked hearing about Joan’s permaculture ideas of doing less, leaving flowers to attract pollinators, and hand mowing rather than eliminating the weeds between rows. The Japanese man who owns the farm clearly has a different attitude since he keeps his farm empty of all plant life except for the vegetables he grows. I can sense that Joan and the farmer each want to show the other how to farm. There’s both conflict and mutual respect for each’s passion for city farming. I hope to go back as often as I am invited. Jared, you are always welcome at the garden. And I’m sending that recipe right now!! Gomen!